When you have a water loss in your home, it is important to deal with the moisture quickly in order to prevent secondary damage such as mold from occurring. That is why we use equipment like this to help the drying process go more quickly. This kitchen was damaged by a water loss from a broken pipe and our team was brought in to handle the cleanup and repair. 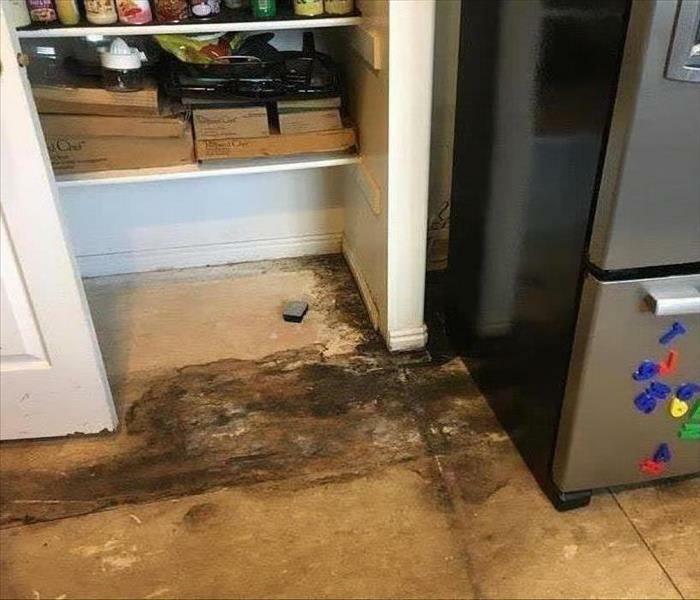 If your home suffers a water loss like this, call SERVPRO. It is absolutely critical to address moisture in your home as soon as possible after a water loss. If moisture is left for more than 24 to 48 hours, secondary damage such as mold can occur. One way to improve the quality of air in your business and prolong the life of your ductwork is to through routine maintenance. That includes cleaning. If you need your ductwork cleaned, give us a call. In order to prevent further damage to the facility, we brought in drying equipment to speed up the drying process after this business suffered a water loss. If you have a loss in your business, call SERVPRO! 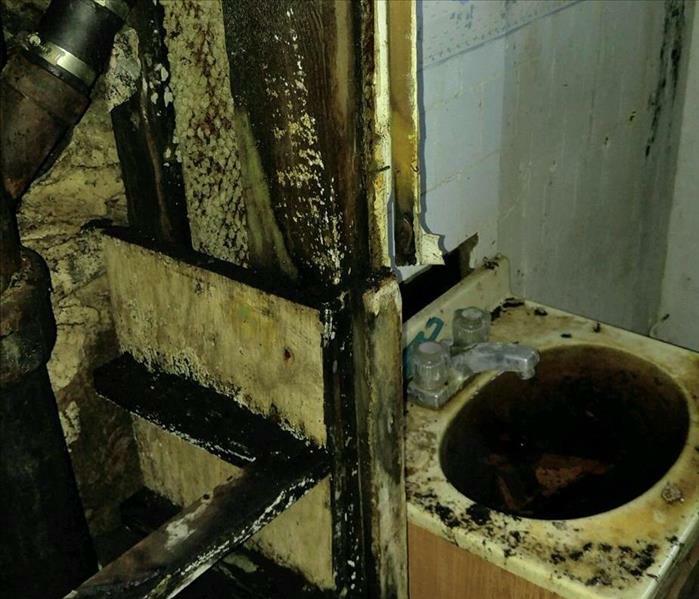 Our team was called to this business to repair the bathroom after it suffered damage from a water loss. If your business has a loss like this, call us. We are faster to any size disaster. When this room was damaged by a water loss, our team was quick to respond and made short work of the repairs. When we finished making the repairs, we left it looking "Like it never even happened." 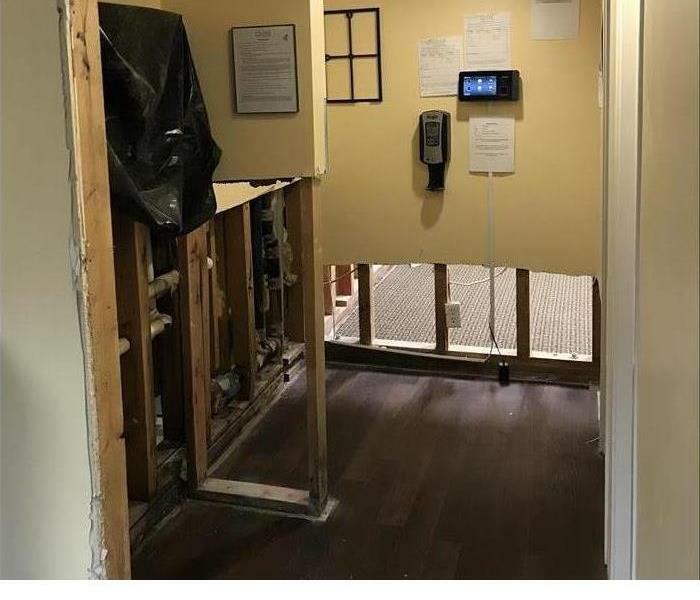 When your business suffers a water loss, time is critical, not only because of downtime in the business but also because moisture that isn't dealt with quickly can cause secondary damage such as mold. 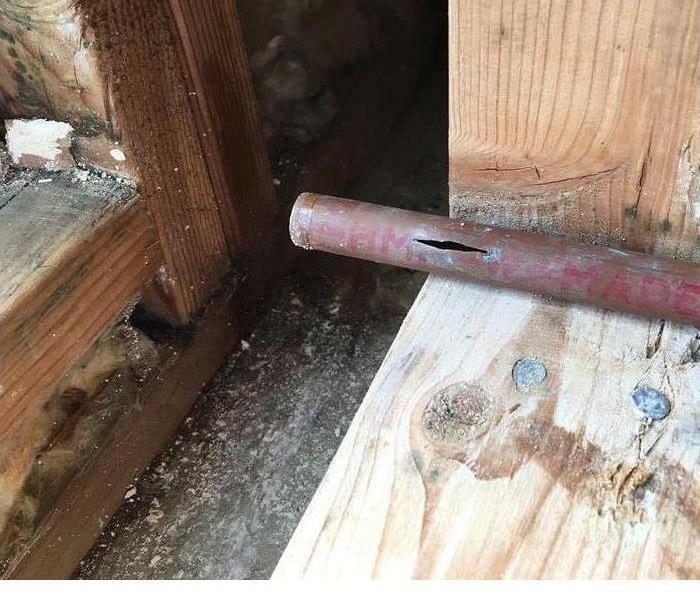 This bathroom suffered from a water loss after a pipe break. SERVPRO responded to begin clean up procedures. The drywall and flooring was removed to dry the area and prepare for rebuild. SERVPRO has the right equipment for your restoration emergency. The team is ready to respond to any type of disaster. Contact us anytime 24/7 for your water, fire, storm or mold emergency. After a severe storm hit the area, this home suffered from water damage from the storm. SERVPRO responded for storm clean up procedures. They tore out drywall down to the studs for drying and preparing for rebuild. After a storm to this home, there was storm damage to the roof causing water to leak into the ceiling and into the floor of this laundry room. There was a significant amount of water in the floor. SERVPRO responded and began mitigation procedures. The room was restored back to pre storm conditions. SERVPRO responded to this commercial property and found mold growing under the shelf. There was significant mold damage. The team responded and used special cleaning techniques to remove and treat the area. After mold was discovered under the bathroom sink, SERVPRO responded to begin mold remediation. The mold had grown significantly from a small water leak in the wall. 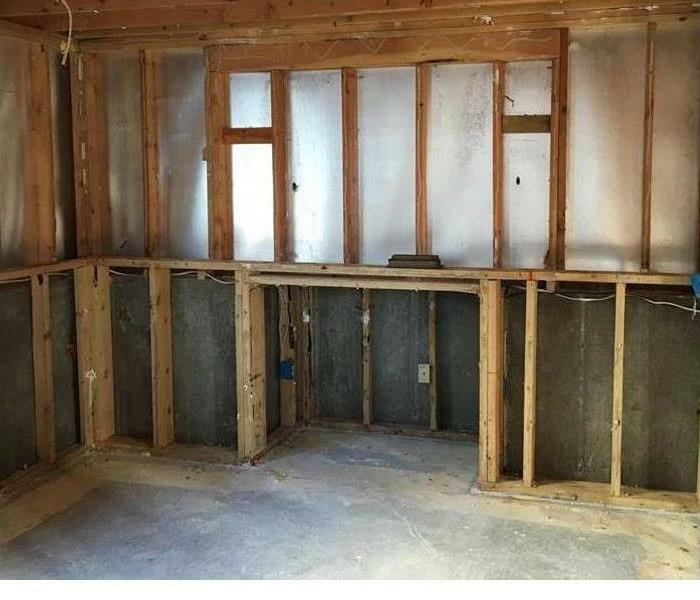 The entire bathroom was torn out and rebuilt. After significant amount of snow on the roof from a storm this ceiling suffered from the weight. The ceiling was tore out by the team at SERVPRO and rebuilt back to normal conditions. After a water loss in this Utah home, there was significant mold damage found after mitigation. The water had sat on the floor for numerous hours causing fungus to grow. The team at SERVPRO has special cleaning techniques for mold remediation. After a severe snow storm in Utah, this home suffered from damage from the signifiant snow fall. There was snow covering the entire yard and roof. SERVPRO responded immediately and was able to clean up from snow and water damage. After a storm hit the Utah area, SERVPRO came out to asses the damage. There was missing shingles on the roof from wind damage. The home owners were able to get a total roof replacement. After a water loss in this Utah home, SERVPRO responded immediately and began clean up procedures. The team extracted the water from the floor and used flood cuts to dry the walls quickly to prevent mold or mildew from growing. 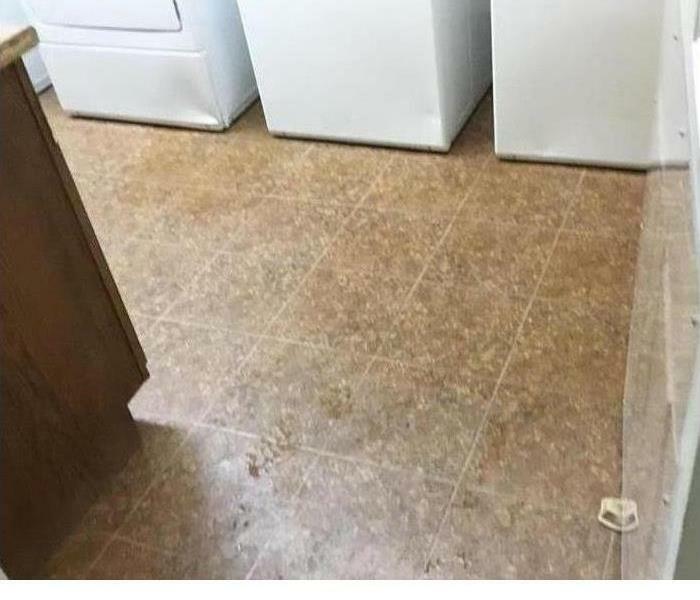 This laundry room suffered from water loss after a storm. The storm winds caused roof damage and the rain water leaked through the ceiling flooding the area. SERVPRO responded and quickly extracted the water from the floor. This Utah home suffered from significant smoke and fire damage. SERVPRO responded quickly after fire fighting to assess the fire and begin clean up procedures. The team cleaning and replaced the home down to the studs. SERVPRO has special drying techniques and equipment they use for any type of restoration emergencies including water, fire, mold, or storm. This floor suffered from a water loss and they were able to dry before it ruined. 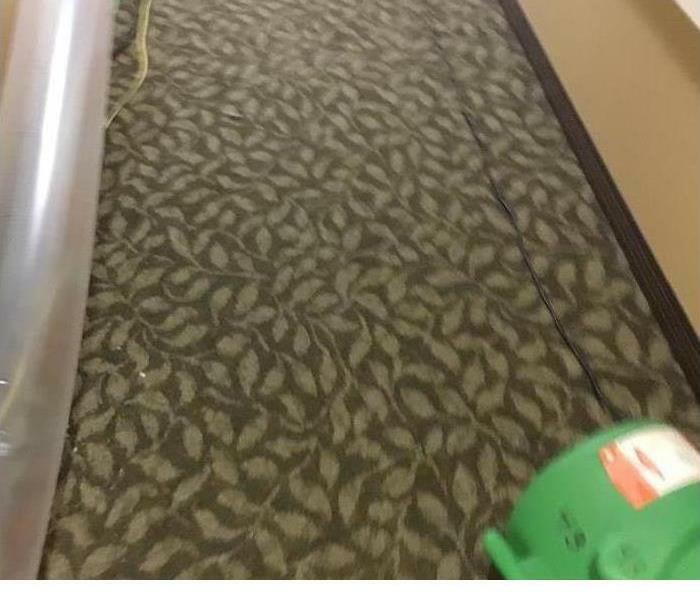 This carpet suffered from water damage after a pipe break. SERVPRO responded immediately and began to extract the water with special drying equipment. The team restored the room back to normal conditions. This home suffered from a water loss. The carpet had a significant amount of water. 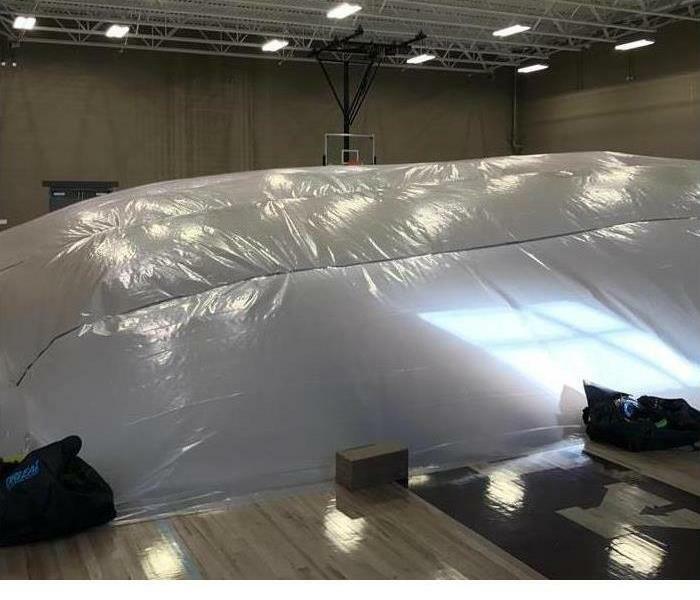 They used air movers and a dehumidifier to ensure the water and moisture was removed from the floor preventing future damages. This ceiling had significant water damage. Mold was growing where water was present for a long period of time. The team at SERVPRO responded and removed the drywall and cleaned the mold and restored the ceiling back to pre mold conditions. 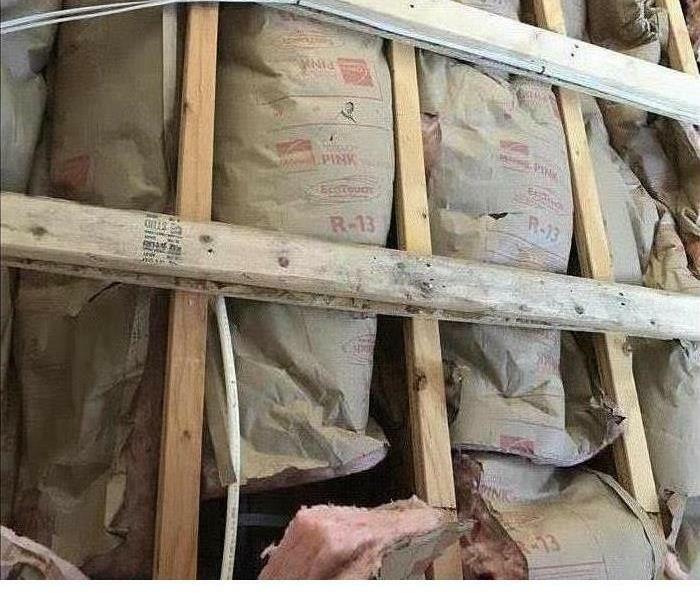 After the drywall was torn out of this Utah home, mold was discovered by the home owners. They immediately contacted SERVPRO for their mold remediation specialist. They were able to use special cleaning techniques to remove the mold safety. This Utah home suffered from a fire. There was smoke stains on the siding from the fire coming through. SERVPRO responded immediately and began clean up after fire fighting and restored back to normal conditions. SERVPRO responded to this home after a fire with smoke and soot damage. 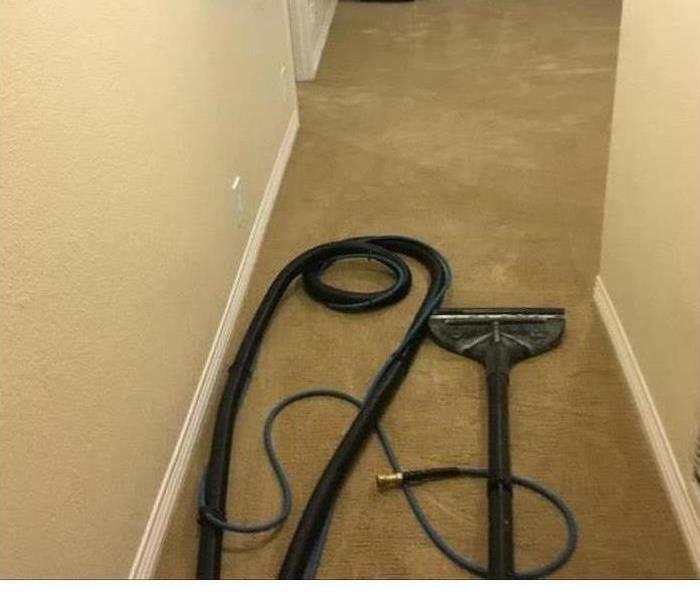 They cleaned this home with professional cleaning techniques to remove the stains. Contact us anytime 24/7 after your fire disaster. This home suffered from smoke and soot damage from a house fire. SERVPRO responded immediately after fire fighting efforts to begin clean up procedures. Drywall and insulation was removed and replaced with new. 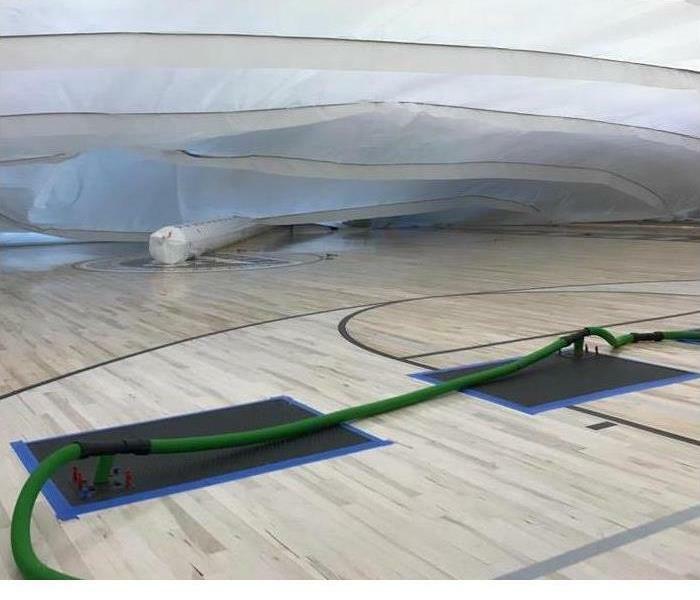 This gym floor suffered from a water loss. There was a signifiant amount of water on the floor. 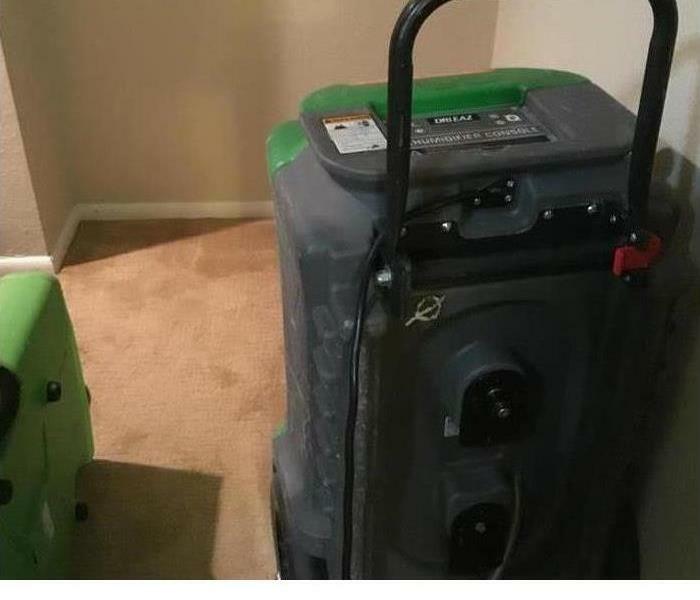 SERVPRO was able to use professional drying techniques and drying equipment to restore back to pre water conditions. 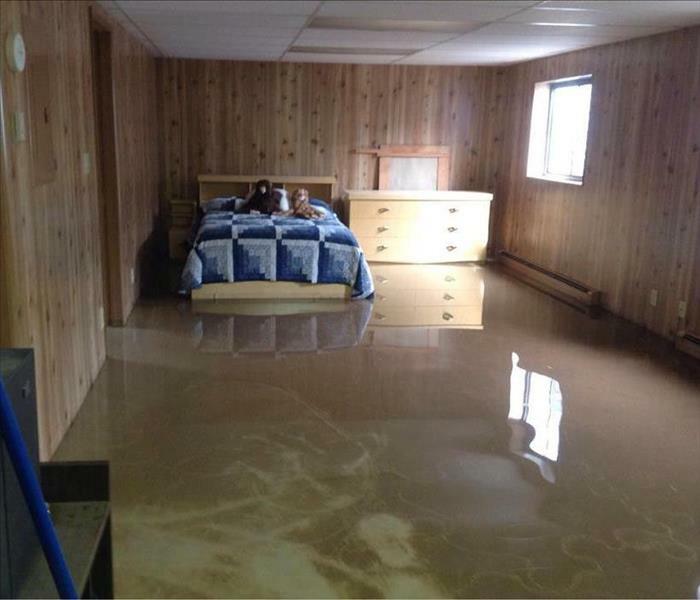 This flooring suffered from a water loss. The team at SERVPRO responded immediately to begin mitigation. They removed baseboard to dry around the walls to prevent future damages. They were able to dry quickly and restored back to normal conditions. This home suffered damage from a fire, as you can see from the image. We were able to repair the home quickly. 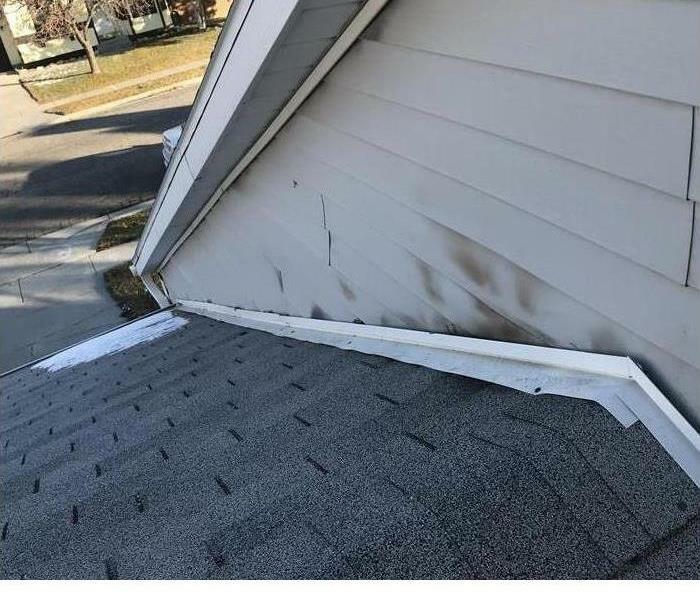 If your home suffers damage like this, give us a call. We are faster to any size disaster. We often use equipment like you see pictured here to help dry up moisture more quickly in order to mitigate further damage. If your business suffers a water loss like the one pictured here, call us. This is a great example of floor rot caused by water damage. This happens quite often actually and can happen even with tile floor. If this ever happens to you, we have the skills and expertise to fix this "Like it never even happened." This is a perfect example of mold being left in a home over time. This is an extreme example though. Things like this don't happen very often. But when you do see things like this, we can help. This example is from a home that was bought to flip and we were called in to fix the mold. 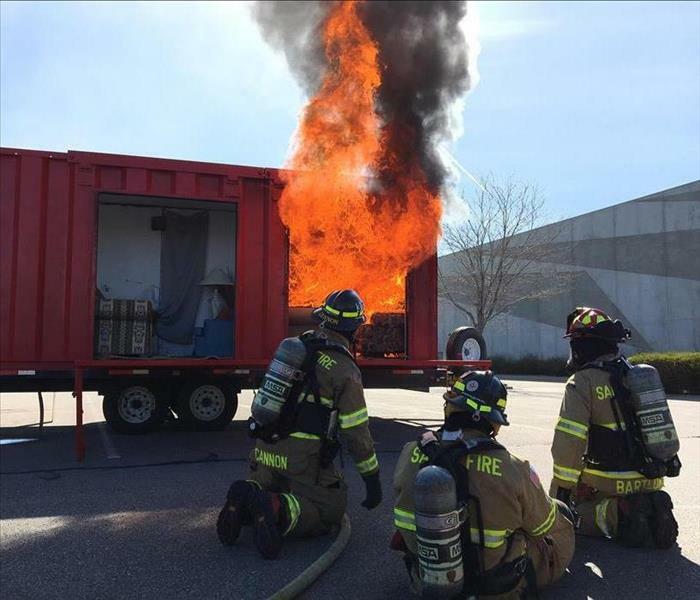 Here is a picture from a controlled fire from an event we were invited to sponsor. You will notice the fire burning even outside the box. Just imagine this in your home and the damage it can cause. We will be able to help in the most extreme cases, if that unfortunate thing ever did happen to you. Here is a photo from a job we did recently. 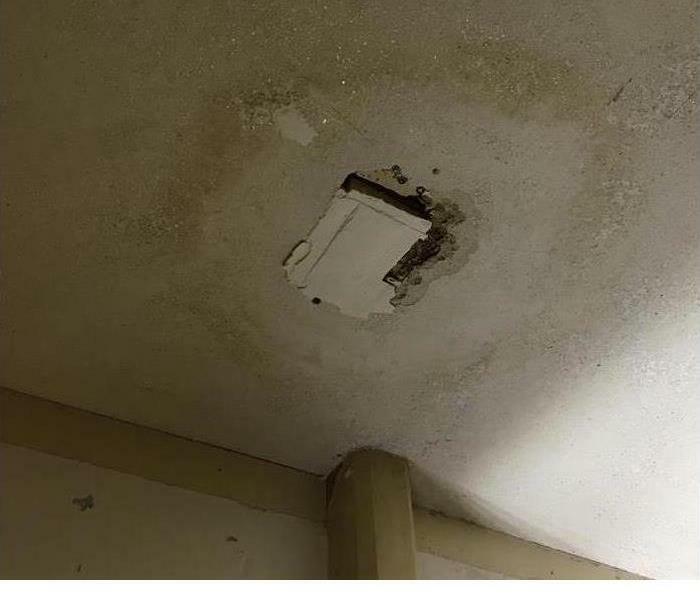 This water damage was caused because of the Weber Water Basin (secondary water) being turned on during the spring after the winter of it being turned off. We prepare for this time of year because it seems to be a common thing. 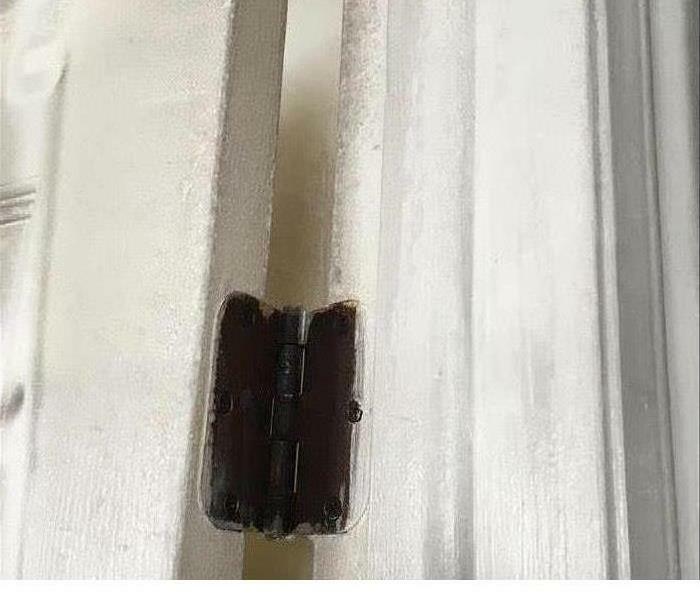 If you EVER have something like this happen, please call SERVPRO. We have the knowledge to take care of this filthy water and make things looks "Like it never even happened." SERVPRO of Layton/Kaysville Office - Located at 900 N 400 W #4, North Salt Lake, UT 84054 - We are here to help in your time of need, whether it be water, fire, or storm damage. We will work with your insurance company. There is no job to big for SERVPRO.